I recently heard this interview with personal finance expert, Harold Pollack, about how he wrote all his financial advice on a single index card. Brilliant! I thought. We all tend to get caught up in the details when it comes to topics like personal finance, but most of it can be simplified into actionable steps for anyone to understand and do. Lots of misinformation, “magic bullets” and snake oil salesmen, making it really tough to trust any source. Both topics have been vastly over complicated for the average person’s needs and most people don’t know where to begin. 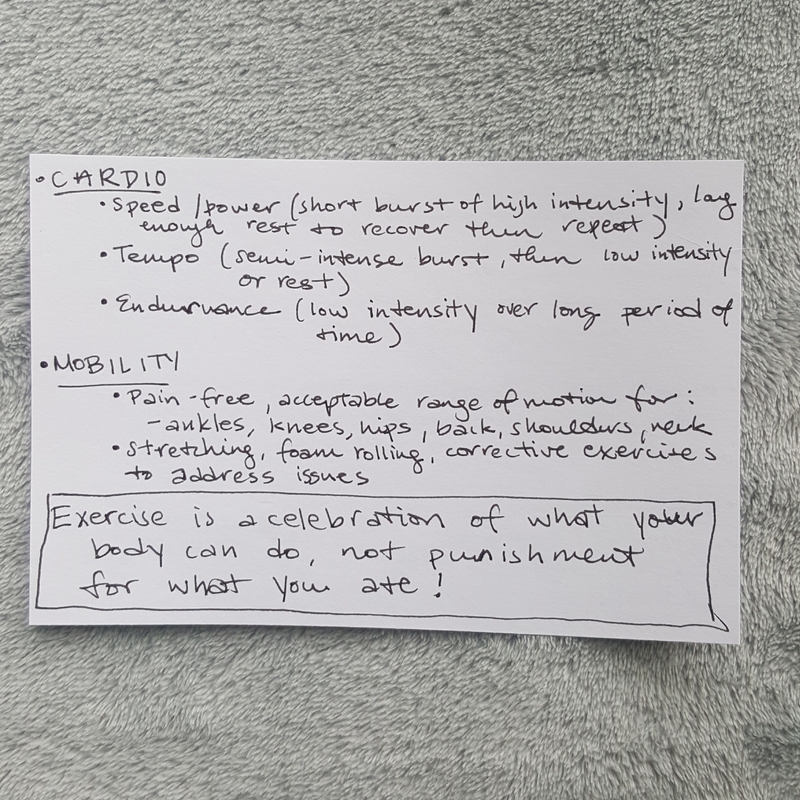 What if I could try and get all my fitness advice onto an index card? NOT active? 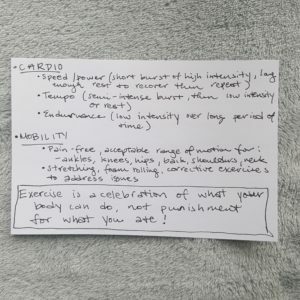 Move your body in a way you enjoy 1x/week. Ready for more? Add another day or another activity. Already active? Build and maintain enough strength, flexibility, and cardio to move well (as YOU define it). Bilateral and unilateral (single arm/leg) variations. Endurance (low intensity over long time without rest). 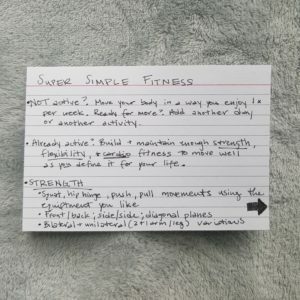 This list can serve as a great starting point for your own research, or a conversation with fitness professional who can give you more detailed, prescriptive actions personalized to your needs.